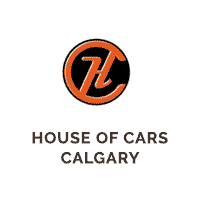 Look No Further Than House of Cars! In many cases buying a used car over a new one makes a lot of sense. The moment that a new vehicle leaves the dealership it stands to immediately lose as much as 11% of its value. Factor in another 10% reduction – at least – by the end of the first year and you see how quickly the value of new vehicles depreciates. Buying used can come with some risks though. Finding out about a vehicle’s history and buying a car that is properly protected and assured is essential. If you find yourself wondering “where are the best used cars for sale near me?” you need to find a dealership that you can trust. Here is why House of Cars is that dealership. Since our launch in 2012 we have built up an impressive inventory of over 400 vehicles. Each of these has been cherry-picked for its quality and with a range of cars, trucks, vans and SUVs at affordable prices, we truly do have something for everyone. In fact we make it easy for our customers to find the vehicle of their dreams with our intuitive inventory tool. You can use it here and browse our large inventory according to your priorities whether that’s the make, model, body type, year or fuel type. Every one of our vehicles is CARPROOF, giving you a detailed history of the vehicle including where it has been and any repairs that have been conducted on it. For an extra layer of security we always conduct a full mechanical fitness inspection. When you buy with us you make the safe choice. Our mission is “more vehicles with less limitations”. We believe that every customer should have access to a vehicle that they are proud to drive and this is why we extend access to our Credit Rebuilding Program to all customers. This program allows customers to find flexible financing options that fit with their budget, credit history and priorities so that they can car, all while improving their credit situation. If you are searching for “good used cars for sale near me” you want the convenience of proximity and your results will return a range of local businesses. House of Cars gives you the opportunity to work with a company that proudly supports our local area. We are the proud sponsors of the Forest Lawn Titans and our team loves getting involved in community events! We regularly host great Canada Day parades and we recently teamed up with Bikers Are Buddies to help end bullying. We want to play a part in helping the place that we love! Our team never stops pushing to be the best and our collective mission to drive our industry in the right direction means we have won countless awards and if you like you can find out more about them on our awards page. If you are looking for the best possible used cars near you don’t hesitate to visit our dealerships today. We have a presence in Barlow Trail, Macleod Trail, Chinook, Horton Road, McKnight, 17th Avenue, Airdrie and Medicine Hat.